The infamous Dakar Rally is just days away from being flagged off, and KTM, who have come out at the top of the pile every year since 2001 are gearing up to do it all over again. As we reported earlier, the Austrian two-wheeler pioneers have developed a completely new bike to compete in this, the 35th edition of the undisputed king of the rally races. 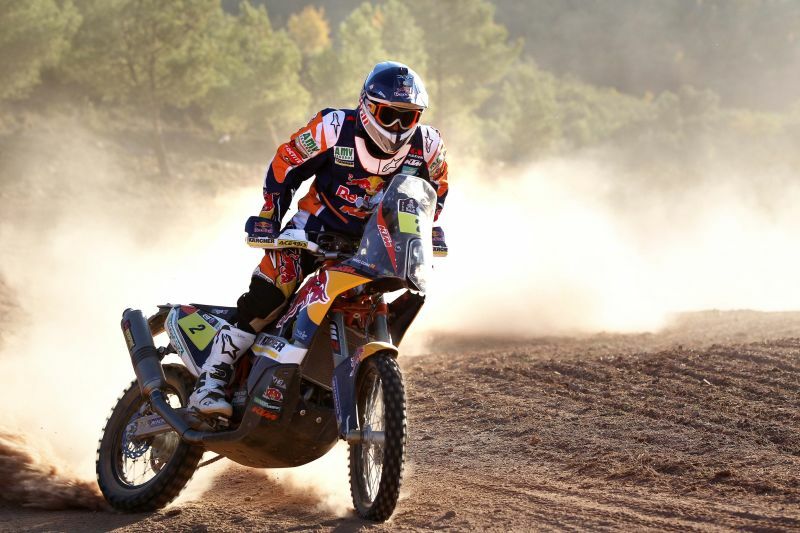 KTM have now posted a video of the incumbents who will represent the team in Dakar. The video contains candid interviews interposed with some riveting footage of the 450 Rally being put through its paces through unforgiving terrain – similar to the conditions the riders would face at the Dakar. So, on the backdrop of some insane hang time and a slew of dust clouds, Marc Coma, Ruben Faria and Francisco Lopez talk about the upcoming race, the new bike, and recently deceased team mate Kurt Caselli among other things. An interesting mix of off-road action and straight talk then, this video provides an interesting insight into team KTM’s mind-space right on the precipice of the biggest Rally event of the season.